As the newest Member of the Millwood Management Team my role is Marketing, Sales and Club Activities. 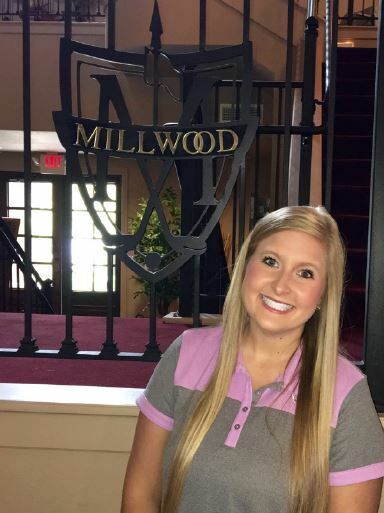 I love getting to know all of the Members at Millwood! Many of which watched me grow up as a kid! I am very excited to get more involved in the day to day operations of the Club and get to know our Members individually! In a few short weeks, I will be graduating from Drury University with a double major in Marketing and Management. During my four years at Drury I was involved in: Drury Women’s Golf, Delta Delta Delta Women’s Sorority, Breech School of Business Student Advisory Board, Alpha Lambda Delta (Honors Society) and Gamma Sigma Alpha (Greek Honors Society). I enjoyed my time at Drury and am now very excited to start this new chapter in my life as a working professional. I am very happy to have this opportunity to work at such a wonderful place! In my free time I love playing golf, going to the lake and of course spending time with my amazing family, Dan, Janie, Hannah, Bentley (Golden Retriever) and Henry (Cocker Spaniel).